We were first commissioned to locate a new library and ITC suite within a small enclosed space bounded on three sides by school buildings. The proposed building had to be designed so as not to affect the windows into the main hall. The building was completed in 2004 within the budget of £100,000. Following the successful completion of the Library we were asked to enter a limited design competition to extend the existing classrooms and bring them up to current standards. Our feasibility study was the preferred option and the scheme was developed and submitted for planning permission. 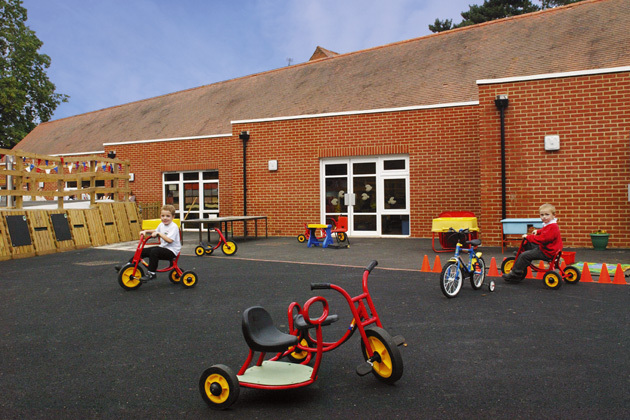 The School had to remain in operation whilst the project was completed and so careful planning and the provision of temporary classrooms was required. 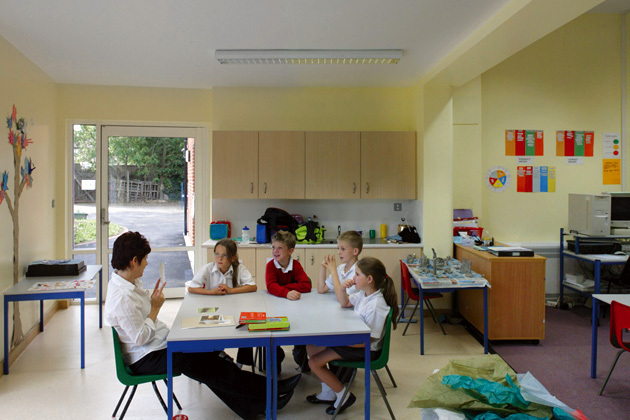 We could not accommodate all seven temporary classrooms on the site and consequently the project was carried out in two phases. We successfully completed phases 1 and 2 in July 2006.